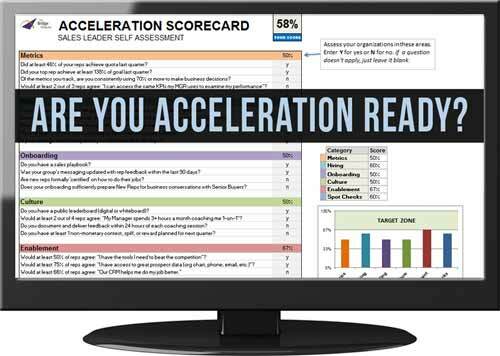 Get your copy of the sales acceleration scorecard. If you're like most inside sales leaders, you're in heads-down execution mode. It seems like it's always month-end, QBR, hiring time, BoD meetings, on and on. When was the last time you stepped back and reflected? It takes under five minutes to learn your score. Don't you want to know where you stand?